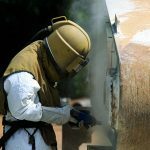 The leader in Sandblasting Cincinnati Ohio, Kentucky and Indiana – Lehn Painting, Inc. Sandblasting is a highly specialized and demanding service that requires training and expertise for proper execution. At Lehn Painting, we have the experienced professionals and state of the art equipment to provide reliable service for commercial sandblasting and industrial sandblasting Cincinnati, Oh, Kentucky and Indiana. 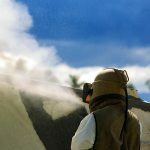 We provide onsite and offsite sandblasting services for commercial sandblasting and industrial sandblasting projects of all types and sizes. We are an experienced industrial mobile sandblasting contractor with over 20 years of experience in sandblasting services. We utilize advanced technologies with a variety of blast media, including sand, garnet, col slag, and walnut shell to provide the right solution for every application. We provide superior workmanship for jobs of all sizes, from small sandblasting jobs to large scale projects for companies in the tri-state area (Ohio, Kentucky and Indiana). We are dedicated to providing the highest quality sandblasting services on every project, from start to finish. Our professionals are committed to providing a level of service that will exceed your expectations. Wet sandblasting utilizes water to remove paint, texture coatings or old stucco, from a surface. Silica sand is a commonly used material, but any small, relatively uniform particles will work. Lehn Painting works on residential, commercial, and industrial structures. No matter the scale, height or environment, Lehn Painting can deliver sandblasting solutions that exceed your expectations. Lehn Painting offers architectural sandblasting services to enhance the look of a surface or when the original look of a surface is desired. Architectural sandblasting can be used to remove old paint from brick or to clean concrete or stone. Architectural sandblasting can also be used on a range of wood projects in homes or commercial sites. 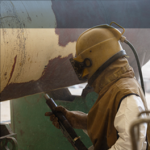 Lehn Painting provides a full spectrum of sandblasting services, including commercial and industrial tank sandblasting and much more. We provide a wide variety of on site and off site services from our highly trained and experienced employees, all of whom are fully trained having vast experience across all sandblasting applications. We are continually upgrading our knowledge with new application processes and safety procedures to provide quality service for every project.